Cash flowed, cheques were signed and membership cards issued. Welcome back to Marple Methodist Church and the inaugural meeting for the 2018/19 season for Marple History. Eight talks, four trips and three summer walks to anticipate. What’s not to like? We try to offer a mix of local, regional and more general history in our programme, and in the opening presentation of the season, Michael Ogden told the fascinating story of the Zeppelins - a lost technology, and a long forgotten way to travel the world. Count van Zeppelin was 62 in 1900 when he began the development of the first airships. He flew the LZ1 for 18 minutes over Lake Constance in 1900 and went on to produce more advanced airships. 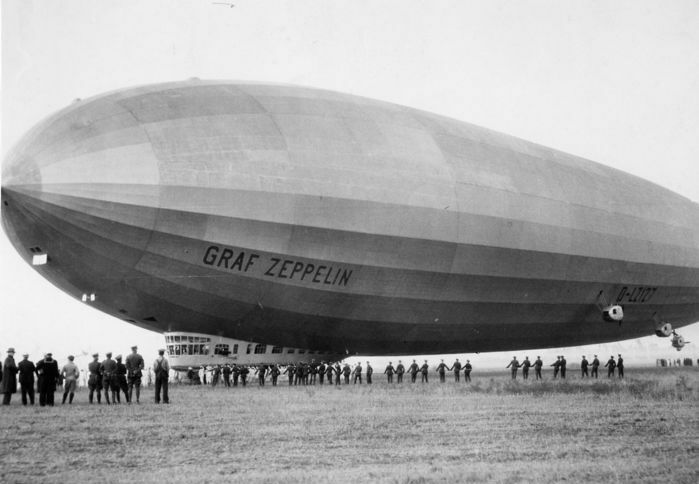 During World War I the German military made extensive use of Zeppelins as bombers and scouts, killing over 500 people in bombing raids in Britain. Michael s howed that Britain wished to compete with Germany, perceiving that airships similar to van Zeppelin’s design would be of great use, both in the military and civilian worlds. HMA Mayfly, Britain’s first airship, was completed in 1911, but unfortunately broke on leaving the hangar in September 1911. Following the First World War, a later development, the R34, flew the Atlantic in July 1919, taking 108 hours, west to east. 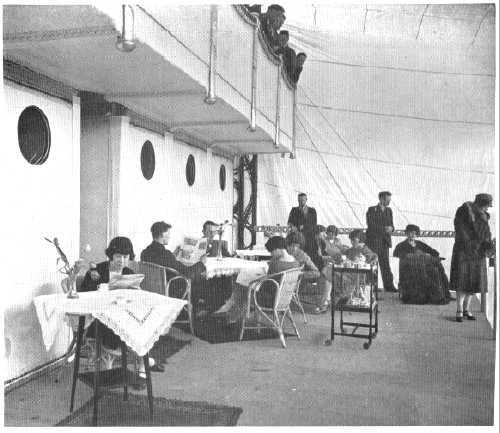 The R36, of 1921 was built with fifty sleeping berths. R38, at the time of its first flight, the world's largest airship, was destroyed by a structural failure, while in flight over the city of Hull. Aeroplanes of this era did not have the passenger capacity, the luxury or the range of the airships of the inter war period. In the late 1920s two British airships were constructed to carry 100 passengers in comfort. Due to the disastrous loss of R101, its sister ship the R100 (interior above), was grounded by order of the Air Ministry. In November 1931, it was decided to sell R100 for scrap. The entire framework of the ship was flattened by steamrollers and sold for less than £600, thus ending Britain’s airship era. Meanwhile, in Germany, Michael explained that the LZ 127 Graf Zeppelin operated commercially from 1928 to 1937 becoming the first commercial passenger transatlantic flight service in the world. During its operating life, the airship made 590 flights covering more than 1.7 million kilometres (over 1 million miles). It was scrapped for fighter plane parts in 1940. The rise of the National Socialist Party (NAZI) was growing and Goebbels provided two million Marks to build a new airship, the LZ129, alias Hindenberg. The airship had a crew of forty. Direction was controlled by a ship’s steering wheel and a further elevation wheel was needed to keep the ship level. When the Hindenberg docked on the 6th of May 1937 in New Jersey it burst into flames. It was thought that the gas cells were damaged and hydrogen escaped and was set alight by an atmospheric discharge. Thus ended the era of the airships, all were scrapped and airship transportation became extinct. An enjoyable and informative talk by Michael started the new year off in fine style. Movietone's coverage of the Hindenburg disaster - filmed by Al Gold, Larry Kennedy and Deon De Titta. Sound engineer Addison Trice.